I had such plans for today's post! But alas I gave up. I had such a long frustrating day. 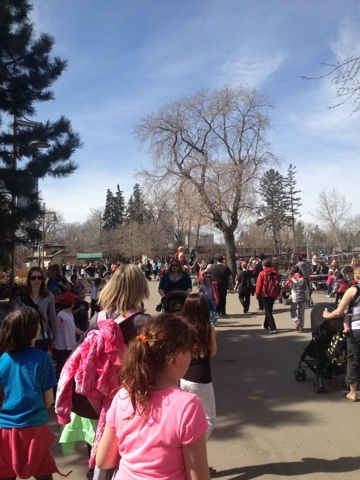 The kids and I went to the zoo on what has to be the busiest day ever. I am no lover of crowds. Which basically drained me if all energy and happy thoughts. The boy and I got a little to much sun as well. Oh well can't complain too much it was a beautiful day. Tomorrow we are expecting snow. So here I am heading to bed. I look forward to a quiet day tomorrow. I will then post the wonderful blog post I had in mind. Here's something for you to think about. What kind of friend are you? Night all!